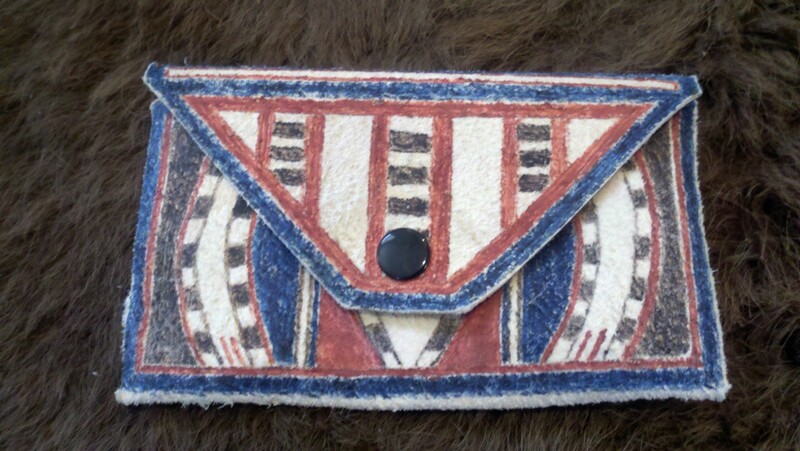 The purse is made from Elk parfleche that was traditionally tanned using the same methods as the Native Americans i.e. brain tanned. It is softer than rawhide, but not as soft as fully tanned leather. It was painted with earth pigments mixed with egg white and applied with sharpened sticks which is a tradional technique. This small case is perfect for business cards or can function as a small wallet for cash and credit cards. It has a snap closure. 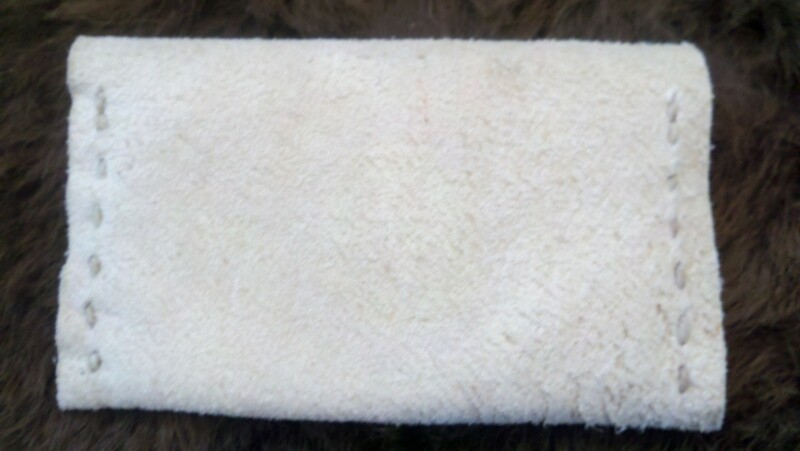 The sides are sewn with real elk sinew. Each case is signed by the artist. Hand tanned Elk Parfleche is only available today in very limited quantities. Items may vary from what is pictured based on the natural character of the leather and variances in paint and patterns. Requres 4-6 weeks delivery Dimensions 4.5" x 2.75".